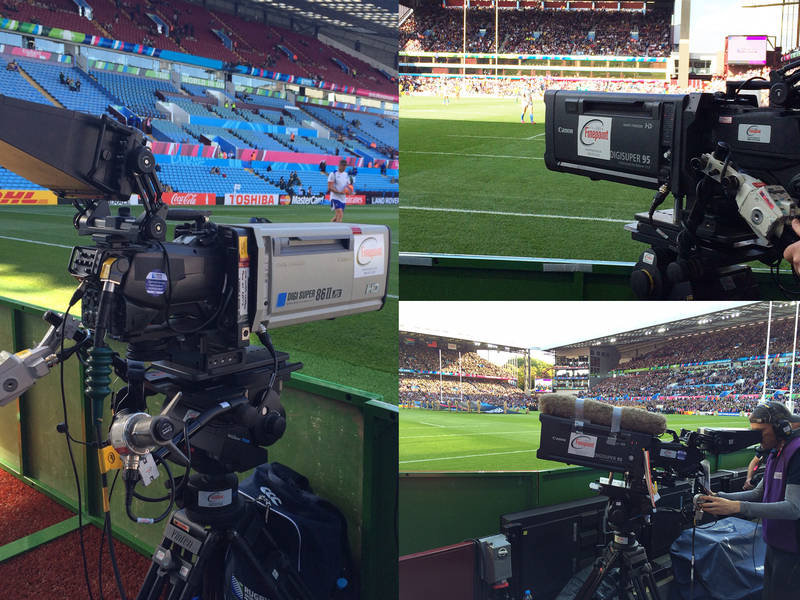 An accompanying montage shows Finepoint Broadcast Hire equipment in operation during various sports OB productions. Kingswood, Surrey, UK – March 28th, 2019 – Finepoint Broadcast's Hire Division (www.finepoint.co.uk) reports continued acceleration in demand for its production equipment rental services among companies in the OB sector. “2018 was one of the busiest years on record in terms of sports broadcasting, not least among our established client base and in terms of new business," comments Finepoint Broadcast Hire Manager Clive Northen. "We supplied high-end production equipment to OB companies covering a wide variety of projects including large-scale events such as the Commonwealth Games in Australia, the World Cup football series in Russia and the Asian Games in Jakarta." “2019 promises to be just as busy for all our customers with 4 high profile sports events. The Cricket World Cup will be held in England and Wales from May 30th to July 14th. This overlaps with the Women's Football World Cup in France, followed in turn by the 2019 Rugby World Cup in Japan and the Southeast Asian Games in the Philippines. We will be providing equipment for each of these very large projects in addition to supporting regular annual events in the UK-based sports calendar." "As the UK’s largest supplier of EVS production systems for hire, we offer the EVS XT3 8-channel and ChannelMAX servers. We are keeping a very close eye on the EVS XT-VIA which can handle up to 6 channels of 4K-UHD or 12 channels of Full HD 1080p, as well as supporting high dynamic range. We have experienced particularly strong demand for EVS servers which we have been supplying together with Sony HDC2500, HDC4300 and the high-end HDC-4800 cameras plus a variety of Canon lenses." "New additions to our rental inventory include Sony PWS-4500 production servers and 4K-UHD Canon optics of various sizes, from standard and wide-angle to box lenses." "Hiring gives our customers the ability to scale up for big events without incurring heavy capital costs. They are also able to use latest-generation products that they are thinking of buying before taking the plunge into extending their own capital investment. Hiring is also a significantly safer option at times of economic uncertainty, not least in providing a shield against price fluctuations caused by changing currency values." "With various OB events taking place on a global scale, we find ourselves working tirelessly with our clients to assist in the logistics planning of moving equipment around from one event to the next. Booking kit out to one client and then moving it for the next project requires a lot of experience and careful planning, plus the proven excellence of the Finepoint Broadcast technical support team." Finepoint Broadcast Ltd operates in the UK from its head office in Kingswood, Surrey, and a sales office located at Pinewood Studios. Finepoint has been supplying broadcasters with a wide range of production and OB equipment since its establishment in the 1970s, complemented by a unique blend of exceptional service and extensive product knowledge. As a leading dry hire service-provider addressing the global marketplace, Finepoint provides 24-hour support backed by a team of in-house engineers checking every piece of equipment in the fleet. Finepoint also has sales divisions dealing with new and used equipment and professional audio visual sales and installations. When coupled with the hire division, this enables the company to offer a uniquely wide choice of products and services at very aggressive prices.